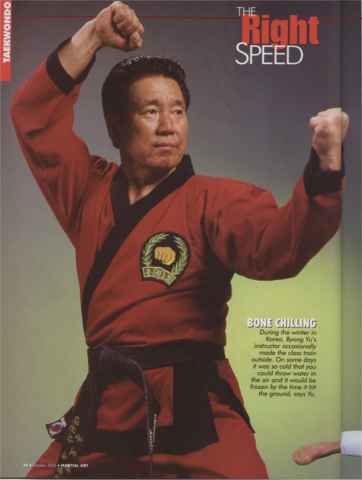 On Friday, January 14, 2005, the World Martial Arts Masters Association will honor 9th Degree, Grand Master Byong Yu with a Hollywood extravaganza honoring his 70th birthday. Many top actors from the Martial Arts genre will be in attendance including guest appearances and a demonstration from Shin Koyamada from the cast of The Last Samurai. Tom Cruise and Ken Watanabe have also been invited. The Sportsmen's Lodge in Studio City, California, will be the meeting place on January 14th 2005, when Hollywood's Martial Arts Celebrities and the top Hollywood Executive converge to witness the abilities and agilities of several of the world's top Martial Artists. This event is to honor Grand Masters Byong Yu's 70th birthday and his 65 years of commitment to all the martial arts. Participants will include Masters Takayuki Kubota, Tadashi Yamashita, Eric Lee, YK Kim, Bennie "The Jet" Urquidez, Karen Sheperd, Chuck Norris and more. This event will be co-hosted by Mr. Alan Horn, President and COO of Warner Brothers, and Mr. Michael Klausman, President of CBS Studio Centers. During this event other famous martial artists such as Steven Seagal, Jean Claud Van Damme, Jet Li, Westley Snipes, Jackie Chan, and more will be honored for their contributions in film. Bass virtuoso Stanley Clark, himself a Black Belt in Tae Kwan Do, is noted for his musical compositions for the big screen in such films as "Romeo Must Die", "The Transporter", "Boyz in the Hood" and more than 40 others, will be providing music specifically composed for this evenings events. There are presently less than 400 tickets left for public attendance. These can be purchased by calling (818) 655-6000, or go to http://www.worldmasters05.com. Grand Master Byong YUGrand Master Byong Yu talks about his training, life in Korea and the three wars that he fought in. Martial Arts Magazine, October 2003.